Diamond jewelry stands out as the most popular form of jewelry. 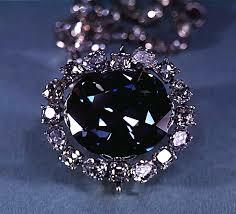 Several years ago, the diamond was a symbol of status, wealth and class. 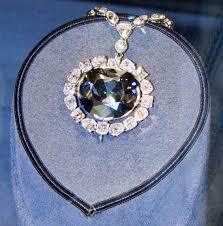 Today, those divisions have been broken, and the diamond stands for commitment, beauty and longevity of relationships. With various styles, contemporary as well as traditional, and a large price range, shopping for diamond jewelry is actually quite a difficult affair. There is a huge variety of diamond jewelry available- a ton of different accessories, and a blinding array of designs. Every accessory has a perfect setting and occasion for it. For example, a ring or any other bridal jewelry is only appropriate for proposals and ceremonies like weddings and engagements. If you are looking for elegant, beautiful jewelry, a bracelet, pendant or diamond bangle for women could be the perfect choice. If you are buying jewelry for yourself, consider when and where you’d like to wear it beforehand so that it doesn’t become another piece you admire but never wear after buying. Budgeting is a vital part of the jewelry purchasing process. If you fly too high and buy something way out of your ideal budget, you could end up regretting your decision for a very long time. If you go out without a budget, you’ll have a tough time at the counter when you have an expensive piece you want but aren’t sure you can afford. It is a good idea to mull over your finances and understand exactly how much you can spend without hampering your lifestyle or anything else. Doing this allows the entire shopping experience to be a lot more enjoyable, and cuts the anxiety and guilt out of the picture. With so many different manufacturers and so many different styles, picking a particular piece of jewelry can become very hard. Hence, the first thing you should do after deciding on what to buy and picking a budget is to look up some of the styles and jewelry lines online or in local shops. Develop a taste and an understanding of jewelry, so that you can narrow the herd to a smaller set. No matter what type of jewelry you are buying be it an engagement ring or a bracelet, the size is definitely something you should consider. When it comes to diamond jewelry, the price does not necessarily go up with the size of the diamonds, as factors like cut and quality become important here. Besides the size of the gems themselves, the size of the jewelry is very important. If you are buying someone a ring or bangle, you will need to provide an exact measurement to the jeweler. Ensure ring size is taken at a time when the finger is not swollen or inflamed in any way. For bracelets, you need the diameter of the person’s wrist, and then add anywhere between 3/4ths of and 1 inch to the same. Choosing a size for a necklace is a much tougher job, as personal preference is very important here. Whether the person prefers dangly pieces or ones which lie close to their necks does matter. It is a good idea to make sure of these things before placing an order. It also matters whether the person prefers small, elegant earrings or longer ones like hoops and chandeliers. Picking diamond jewelry can be a fun, pleasurable outing, or it can be incredibly strenuous and difficult. It all comes down to how well you can plan and execute the whole process. Author Bio: Sophie Strauss is a jewelry designer and connoisseur. She enjoys studying, designing and purchasing diamond and platinum jewelry, and also writes a blog, in which she shares new designs for elegant pendants, beautiful diamond bangle for women and many others.